As many as five people have been killed and 14 wounded in a powerful explosion in Balochistan provincial capital Quetta, near the office of IGP on Gulistan Road early on 23 June. 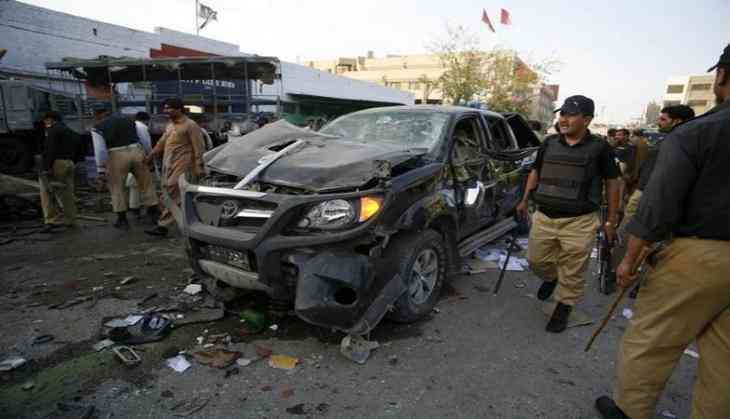 The blast took place near Jinnah Check post which is heavily guarded area due to a busy cantonment area where government offices, Balochistan Police Chief office and a girls college are located. The eyewitnesses said the blast occurred in a vehicle. The security personnel of police and FC have cordoned off the area and the injured have been shifted to nearby Civil Hospital. The security forces have kick-started search operation in the area, Samaa TV reported. Two vehicles were damaged and the blast was so powerful that it was heard across the city and windows of the nearby building were dashed to pieces. The nature of the blast could not be ascertained as yet. No group has claimed responsibility for the blast. The rescue work is underway while the affected have been moved to the nearby hospitals, however police have not shared any details about the nature of the blast.